The official page for Danes of Doom LAN, where all needed information about Danes of Doom LAN is to be found. 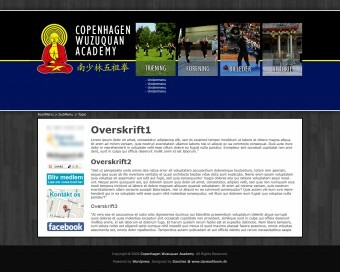 the site is not used for Danes of Doom Lan Anymore. The site was made by me. The idea behind was simple, make information available to the crowd about Danes of Doom LAN. at the time of creation was, what i would refer to as the “Apple shuffling” very popular and I therefore were i forced (by myself) to make a similar menu. Invitational page for Danes of Doom LAN #4, which was held sometime in december, hence the christmas theme. ‘Danes of Doom LAN #4’ was attended by approximately 20 people. the site generated quite a few hits, mainly because of the catchy christmas music. This site is also made by me. 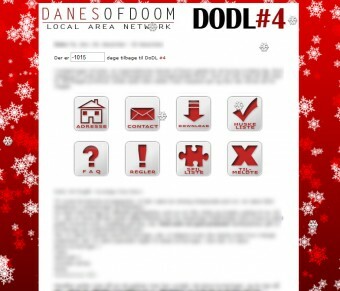 Here the idea was to make a interactive letter or invitation to the fourth Danes of Doom LAN, which was held in christmas time. this made the requirement for a christmas theme, furthermore was a catchy tune choosen in order to give a sound that would be played allround, schools, work and more, spreading the interest and giving identification to the site. 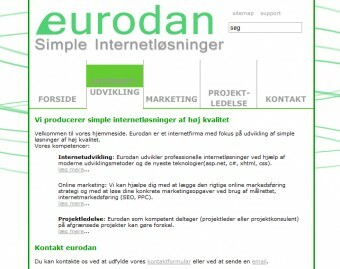 eurodan is a internet solution company, which tries to make it simple for the user. 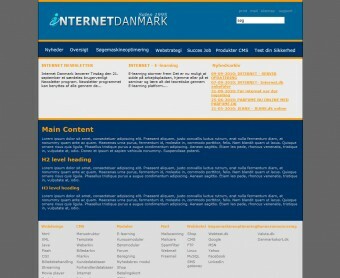 Internet Danmark is a IT-company that focuses on CMS and SEO. this site like the eurodan site is also made by me and it also only a fast showcase. where the same skills was put to test HTML and CSS. Here i also made a new logo/banner. Two different designs with same color scheme, colors represention the Academy own colors. 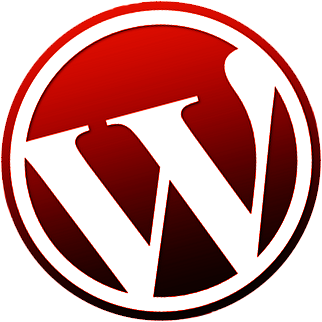 The site was implementet in wordpress before it was droppede due to lack of motivation and engagement from the Academy. 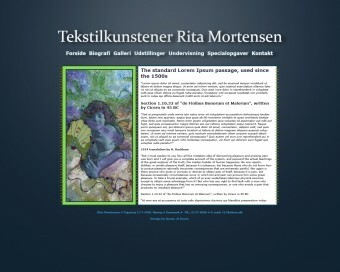 Made for the known cloth artist Rita Mortensen, in a style resempeling cloth art.